The HF model will get the job done. Thanks andrewwynn. I will be going to HF store today. I swear that store gets me excited every time like a little kid in a candy store. 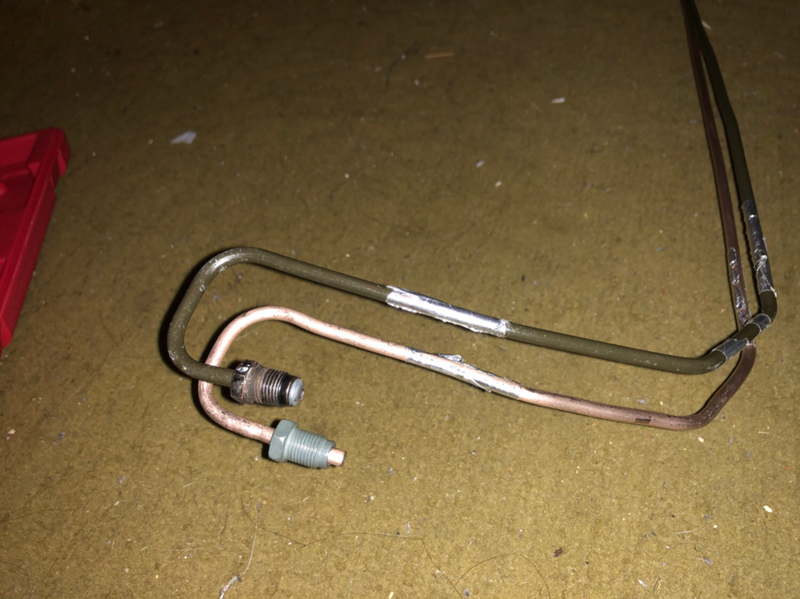 Checking HF online, they sell this but brake lines are 3/16" This will work. Last edited by chedeng; 06-16-2018 at 06:06 PM. That's the big brother of the one you need. They also sell a wrench for bending tight radius. Do some sample bends to learn where the pipe doesn't bend. I'll try to take a picture how to line up the tool to make a perfect match. Since the radius will be different.. I can't tell if that has 3/16 size but some of the bends are tighter radius than possible with the tubing bender. I just picked up some flare crow foot sockets ironically SAE since I need 11mm and 16mm and the metric size had neither. I got the first one you listed since it can do tighter bends. I think I got crow foot wrench set but not sure if I have 11mm and 16mm. But not sure if I'm going to need them since the brake lines from Autozone the longest is 72 inches and still too short. Where did get your brake lines and how long? These are the parts I bought. I could not find M12 x 1 union and a nut. I will order them online. Also will place order for Flaring tool from Amazon. HF and Autozone only got the double flare version. Last edited by chedeng; 06-16-2018 at 09:15 PM. 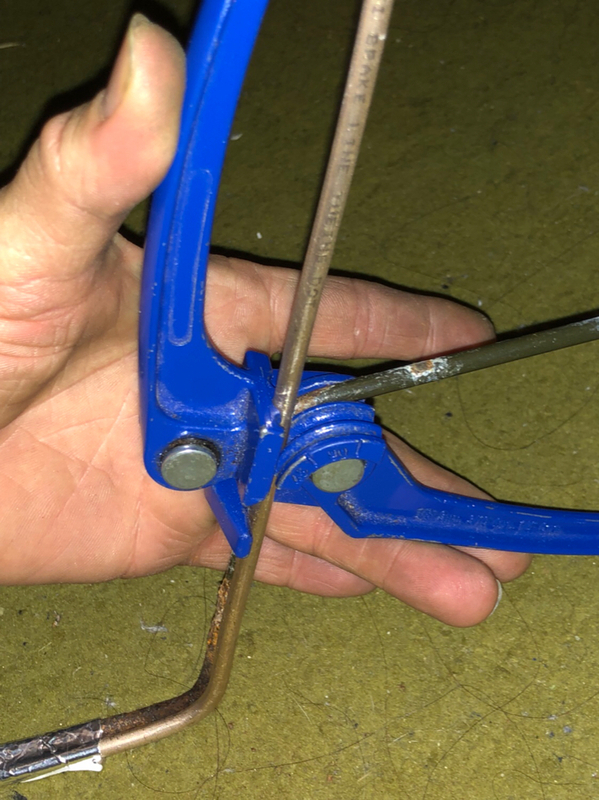 I just picked up the brake line pliers they appear to work with 3/16 and 1/4". Look in the brakes section not the plumbing section. 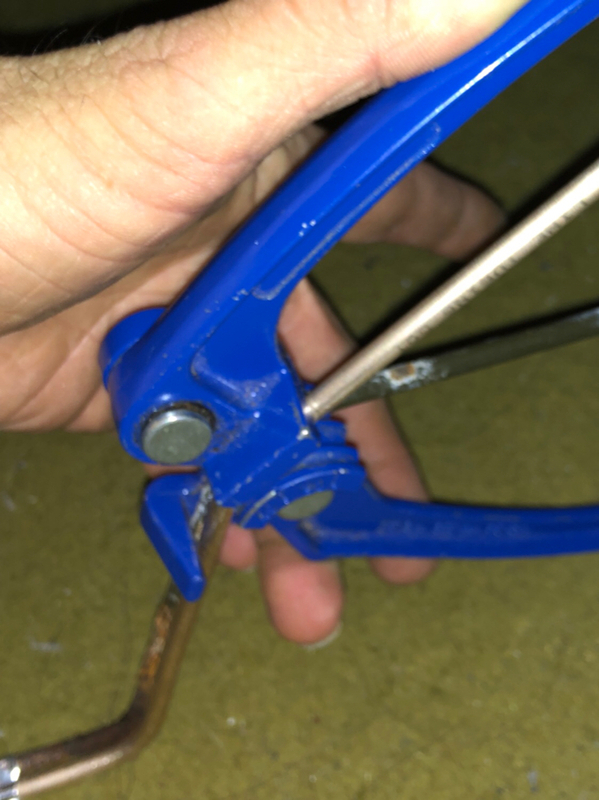 I got the pliers. 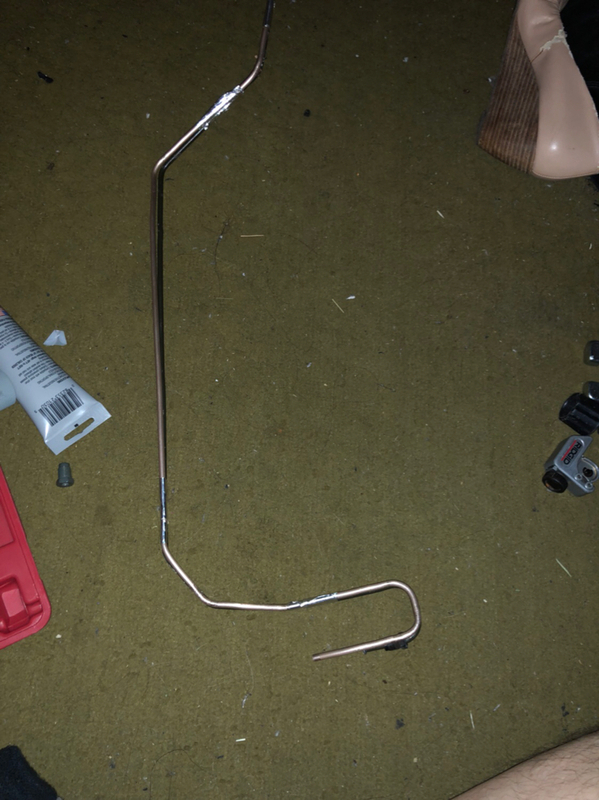 Where did you buy your brake line? The one from Autozone is only 72" long. Still too short to have continuous line. Worst case scenario is I will just cut the bad section and splice. Last edited by chedeng; 06-16-2018 at 09:44 PM. If you find a clean spot to connect forward of the rear wheel definitely splice! It's going to be at least 4 more hours labor to replace the entire two lines. I bought a 25' spool via Amazon. 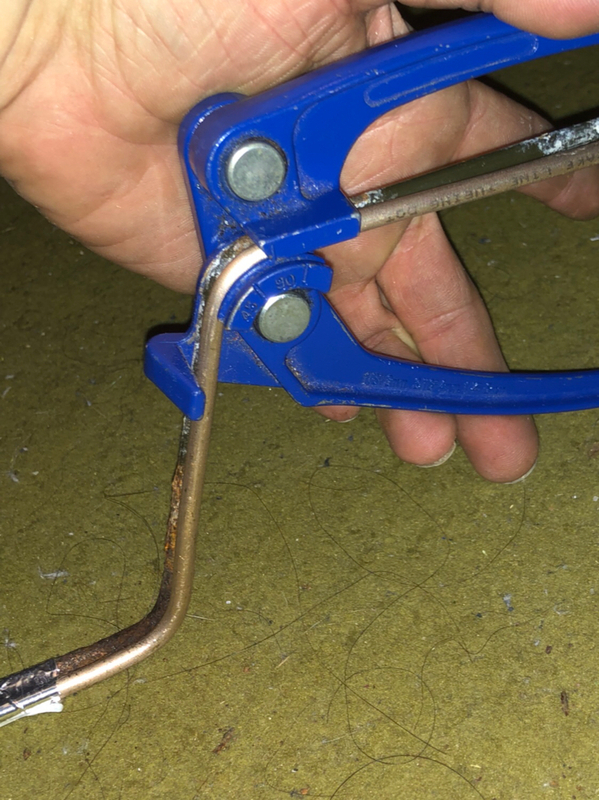 You can likely get NiCopp line in spools at auto parts store but also it's almost exactly 10' and 8' for the two lines you can get there 4' and one 6' section and a couple unions you need no bubble tool just a couple unions. The problem is you won't find tubing with the 12mm fitting so you would need a 12mm to 10mm bubble flare adapter and I'm not sure it exists.. 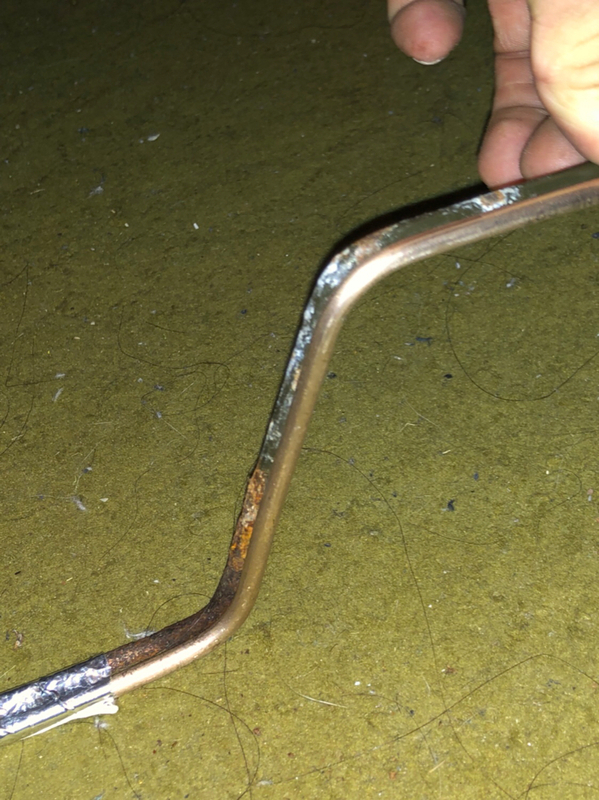 The wrench wasn't nearly as helpful as the tubing bender. I was able to make the tight 180°with the tubing bender, I also was able to invent a very cool way to duplicate an existing pipe and I took pictures! Of course that will be great once tap a talk allows posting photos! 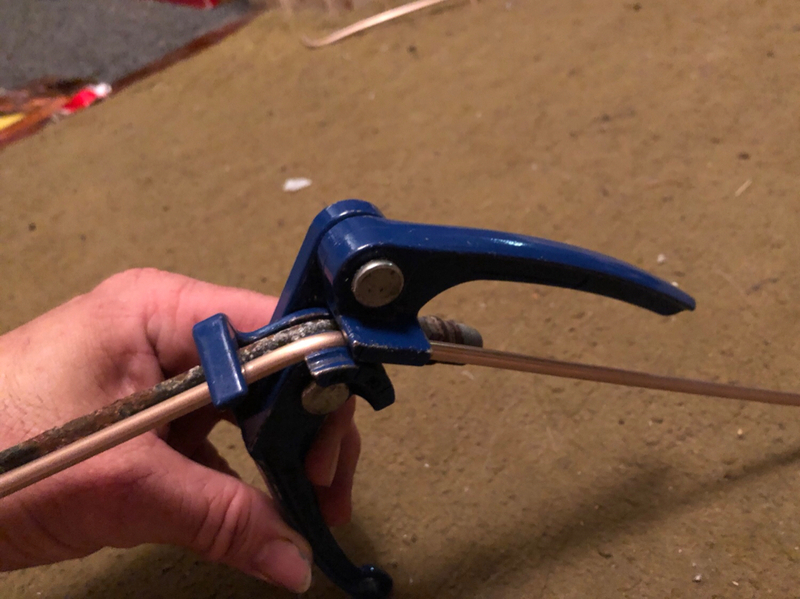 I put the old pipe into the 1/4" groove of the tubing bender, I slide the tool until it is stuck in the corner of the existing bend, then I put the new pipe into the 3/16 groove and bend the tubing! It's precise within mm or two: amazing. 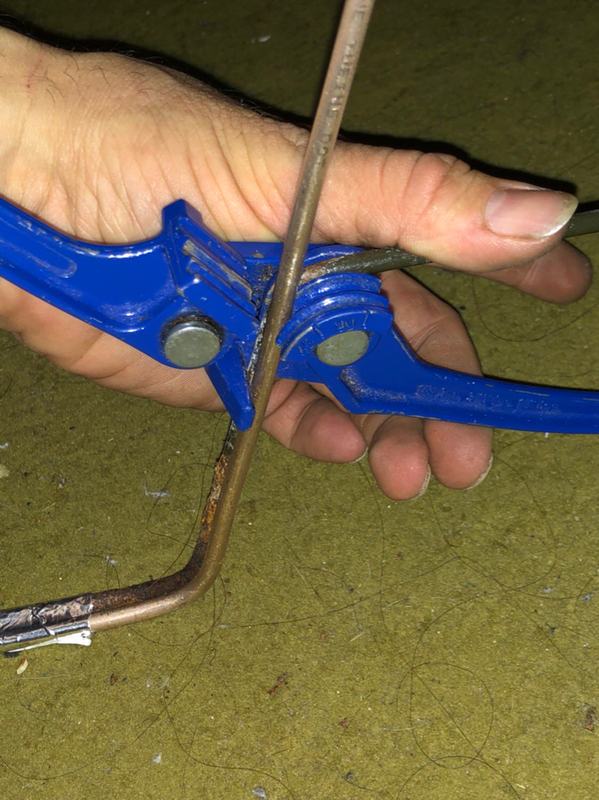 It takes a bit to get the geometry figured out because the bender only works one way but I was able to use the bender to get the very tight u-turn worked out for the end of the left brake line. Note the tape at the bottom: I was taping the new to the old to keep them perfectly parallel. 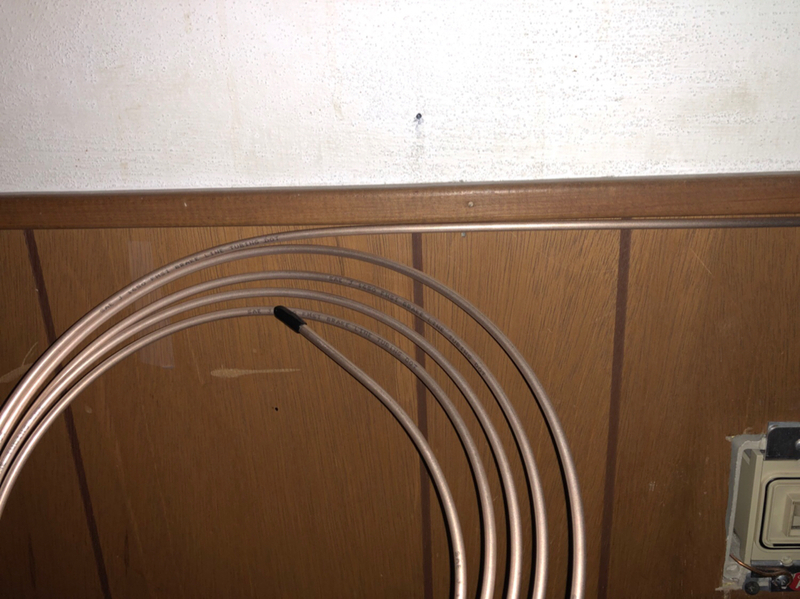 If you do the same, realize because of the bends, sometimes you need them to be lined up vertically such as this photo but sometimes horizontally, basically whichever makes the length work out; you must arrange such that neither tube is "taking the inside track". Reminder! Don't forget to install fitting BEFORE making your flare! Last edited by andrewwynn; 06-17-2018 at 01:37 AM. Here's how I straighten the tube. The $130 tool does a better job but since these pipes are hidden from view this works great. You need a helper. Ten years old son is a perfect example. In case it's not clear; I'm pushing the roll up into some trim on my wall as I unroll it. 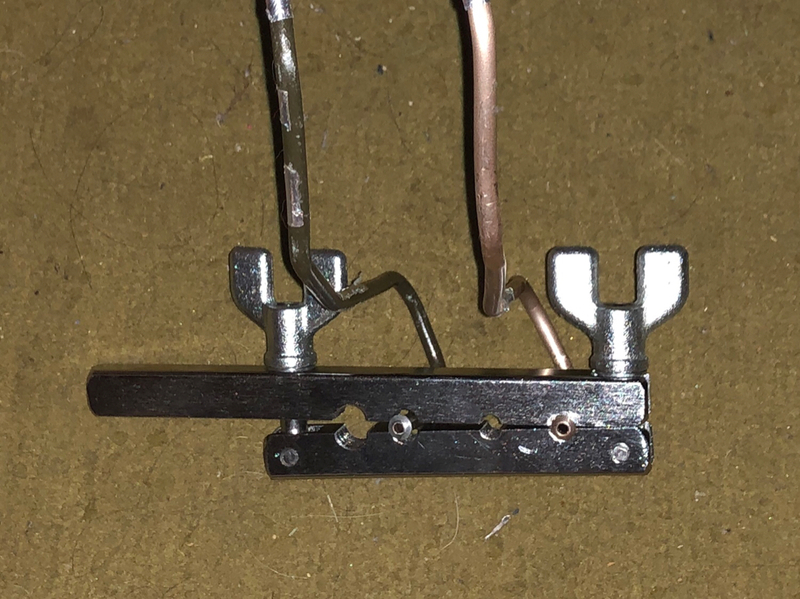 The helper is needed to both hold the straight part and help hold the part just straightened. 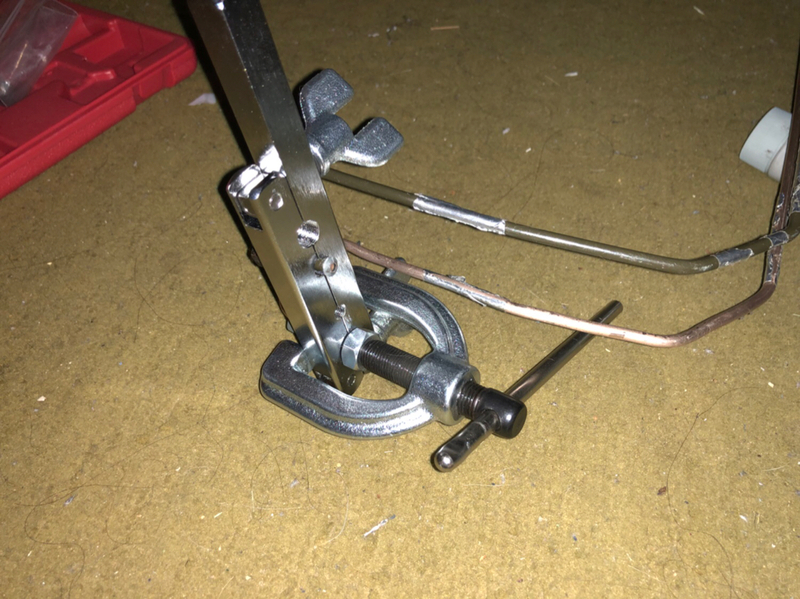 I just realized I can make a straightening tool for free: I have a handful of rack wheels from a dish washer. Attaching them to a couple boards that I can move slightly closer and farther I can make my own auto straightener. Follow up on the bulk tubing. 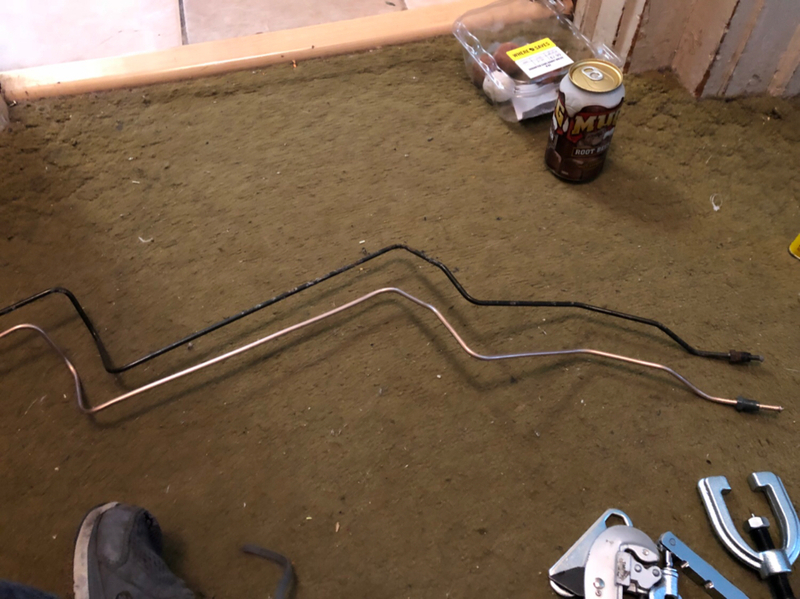 I almost bought the tubing locally with fittings but it would have been about $70 and I'd have had to add a union in the middle but the bigger problem was the 12mm nut. If I have to do the job again I will likely switch the nut to 10mm and just make some p-touch labels to label left vs right. It's beyond extremely important the lines do not get crossed! If the brake lines get crossed on the X5 rear, when the DSC determines you are in a slide either unsersteer or oversteer, it will correct backwards and cause a spin! It's pretty smart therefore that it's impossible to cross connect them. I want to change at least one of the factory unions at the front. One is "made of rust" fortunately it should allow me to make my connections and get it operational while I'm waiting for the impossible to get 12mm iso union. I want to do a full system flush so I'll just use the bottles of DoT3 I was forced to use to get home just to get the backs operational and when the 12mm union comes I'll swap that union and do a full flush. I'm hoping that no air gets into the master or charge pump so I can only power bleed the back for now.